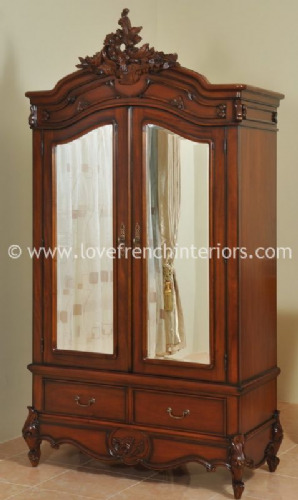 Available in a choice of finishes! 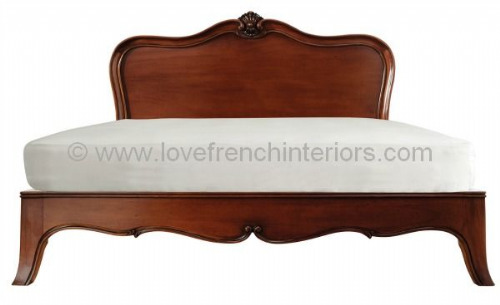 The crest can be customised! 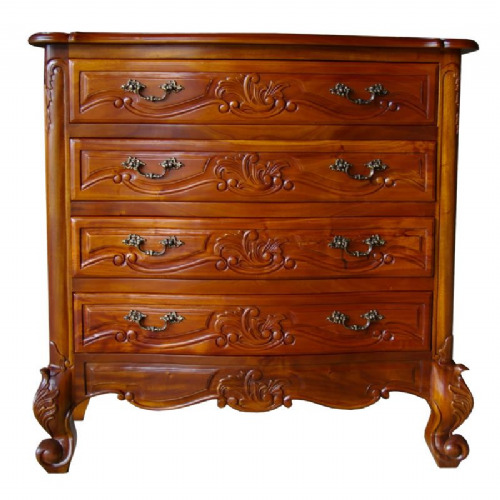 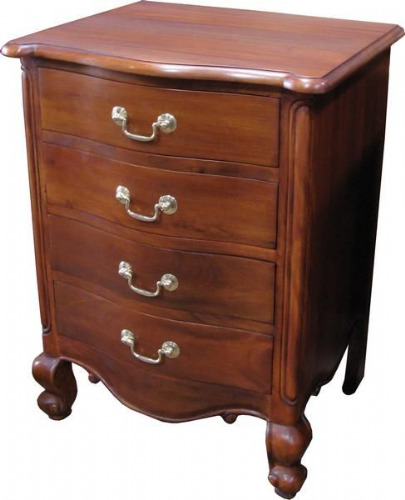 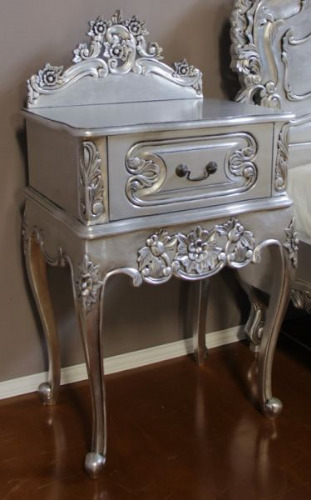 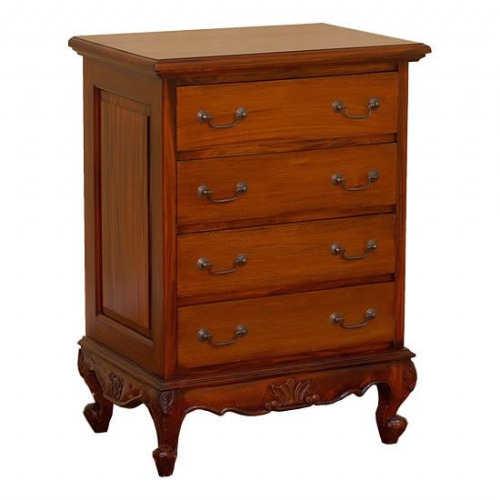 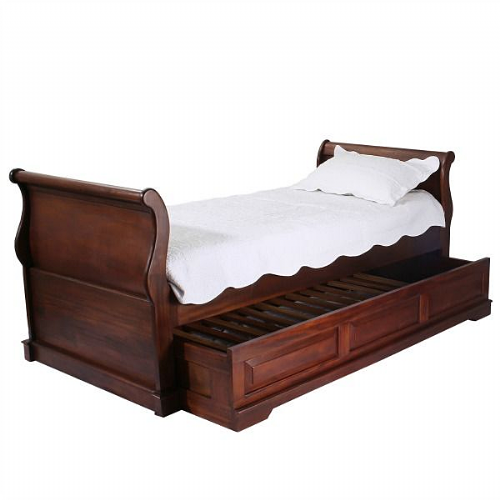 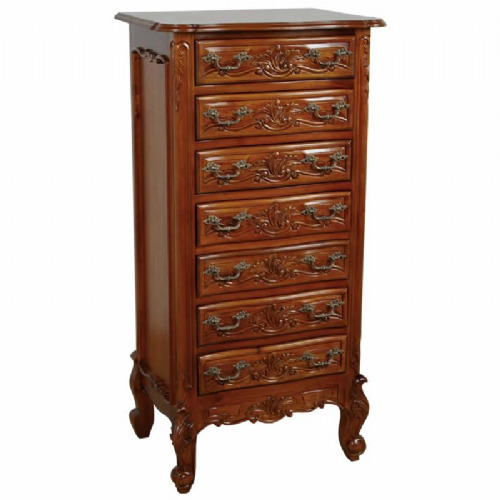 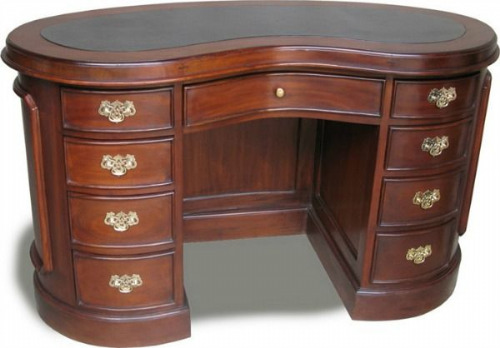 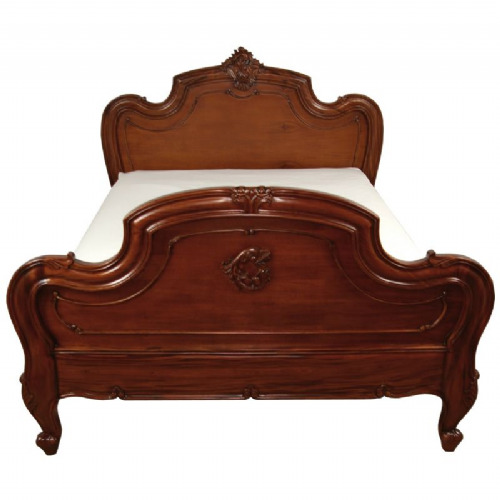 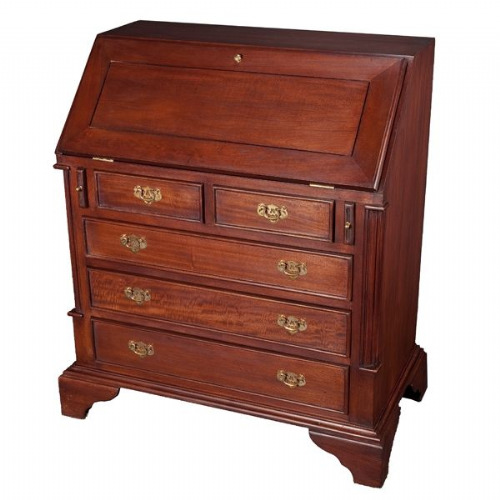 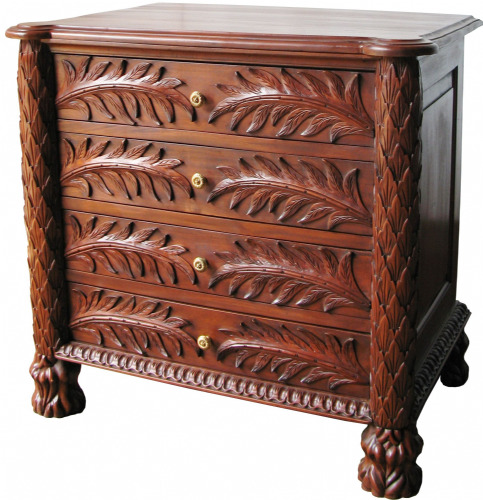 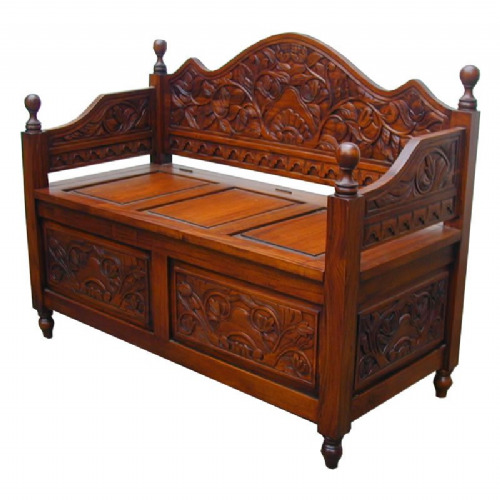 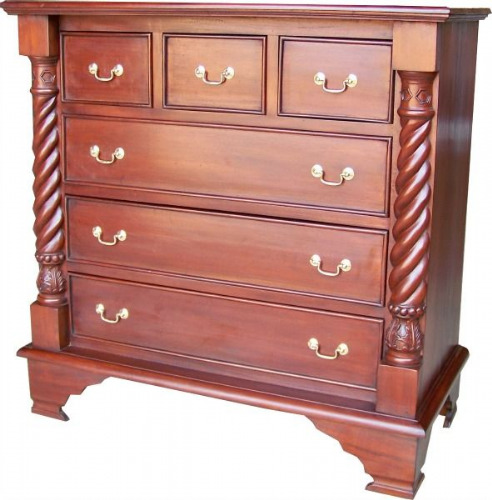 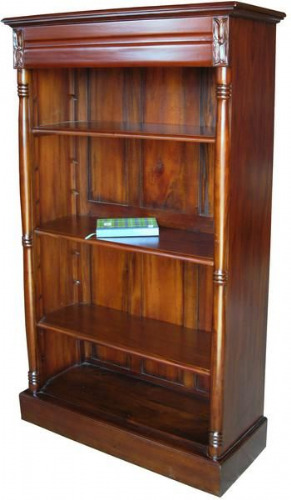 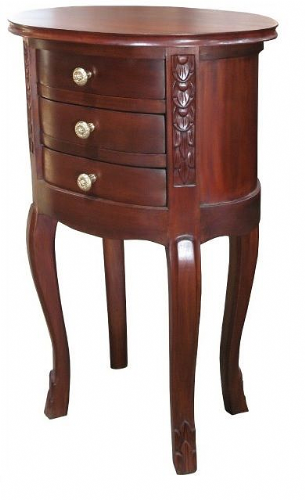 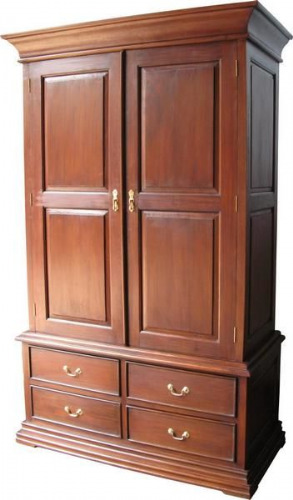 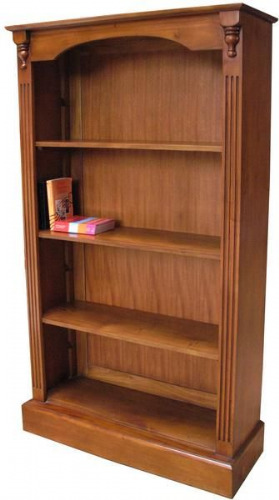 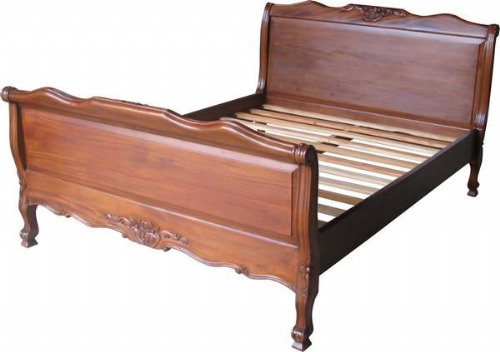 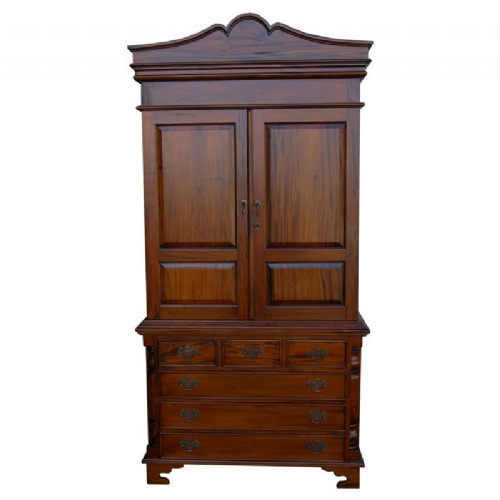 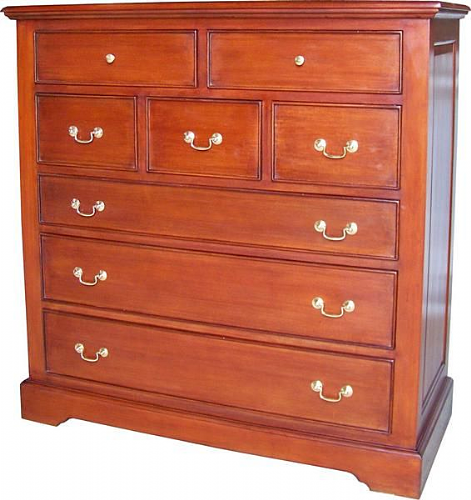 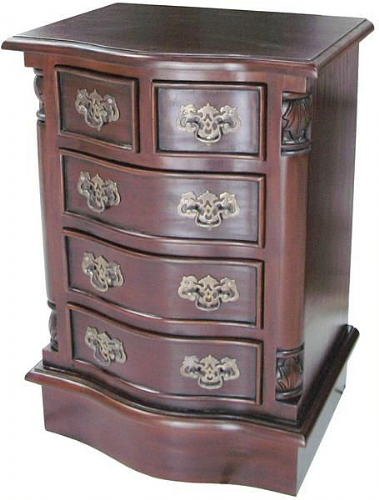 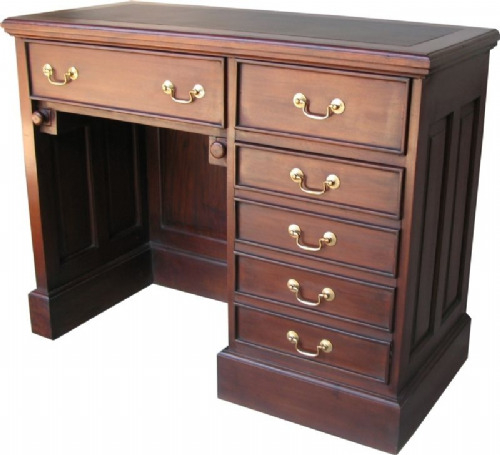 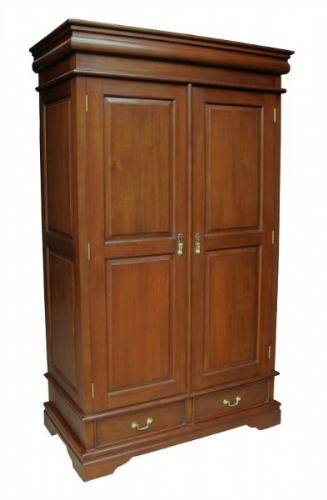 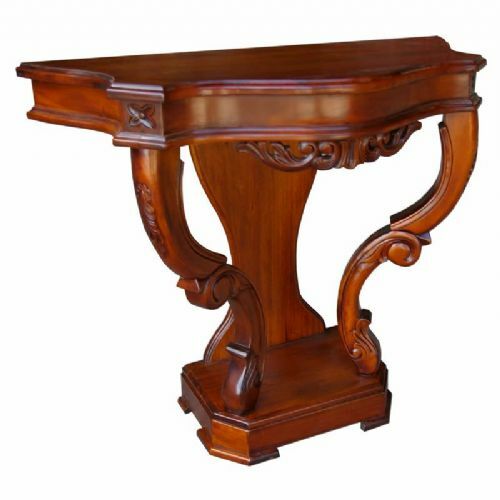 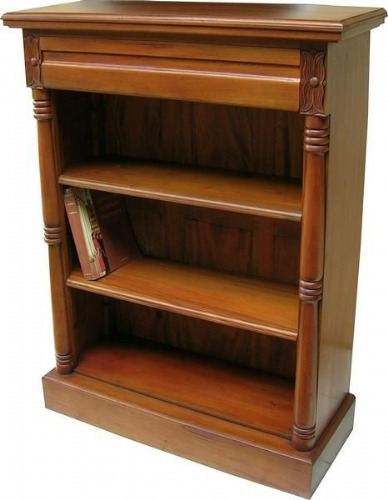 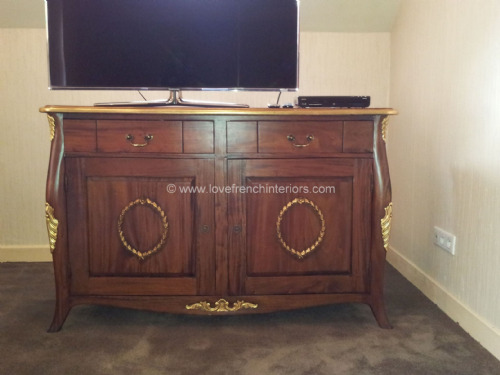 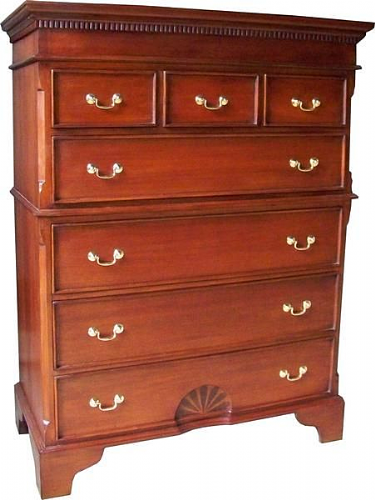 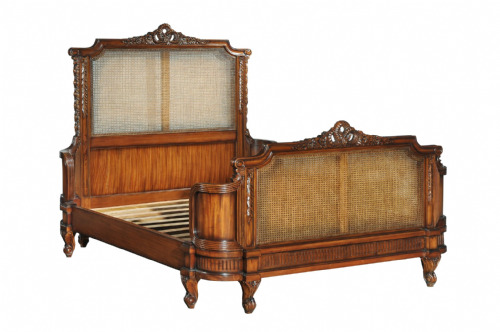 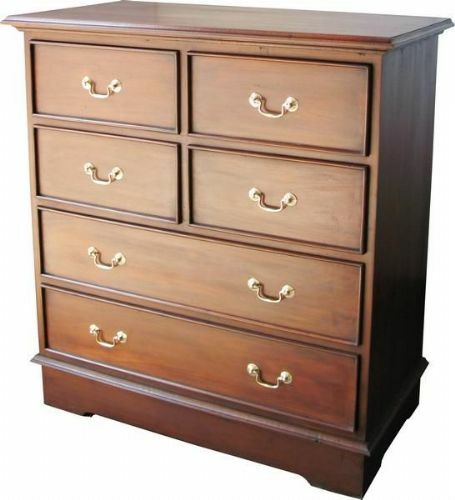 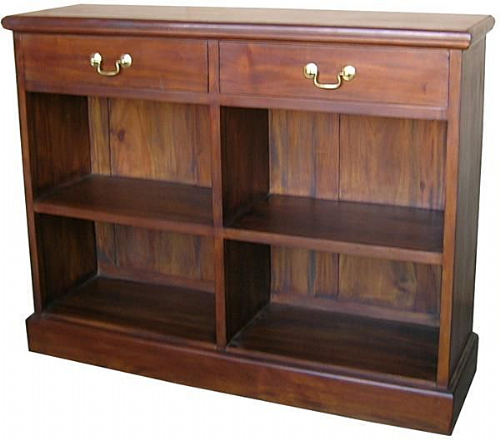 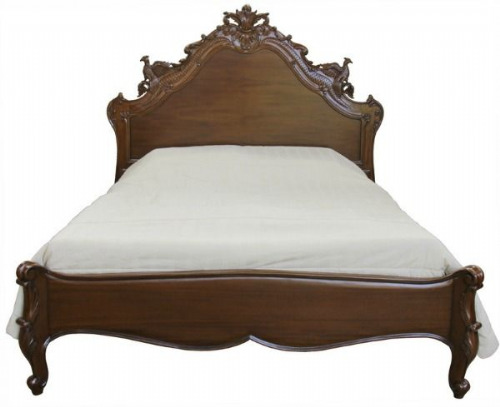 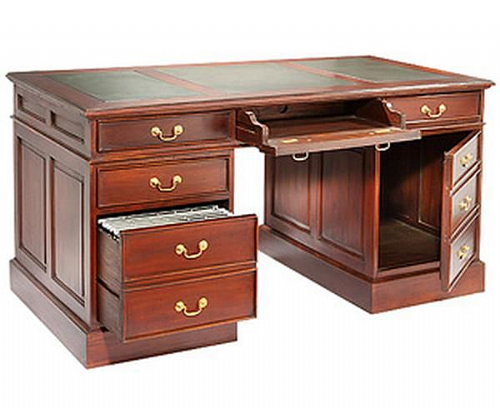 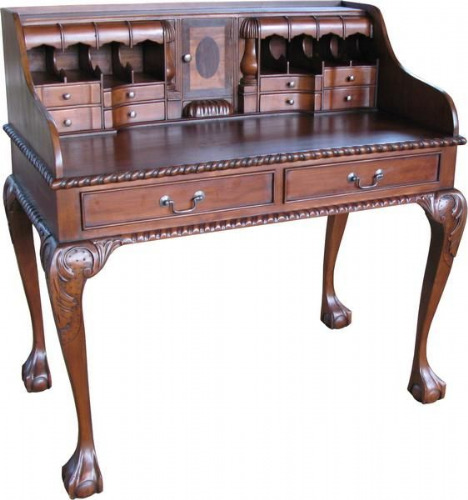 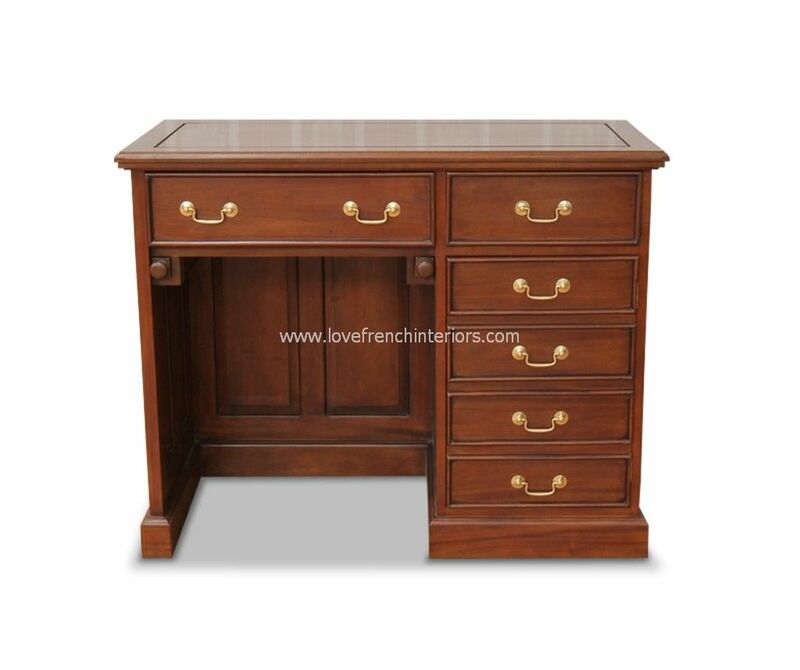 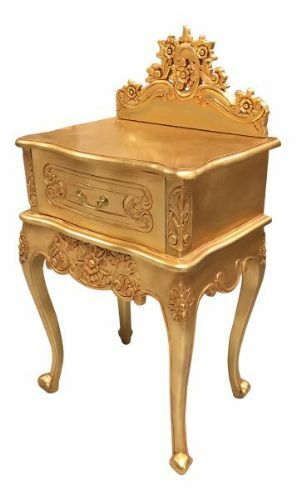 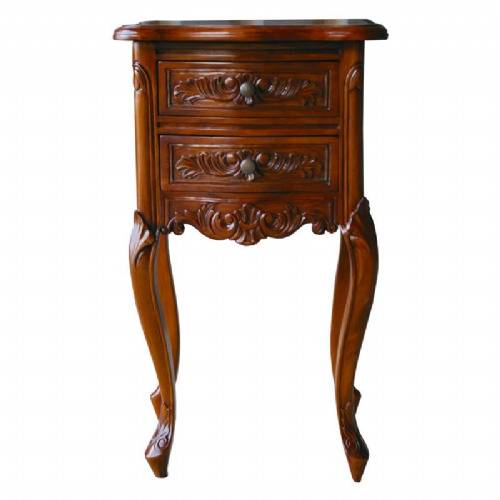 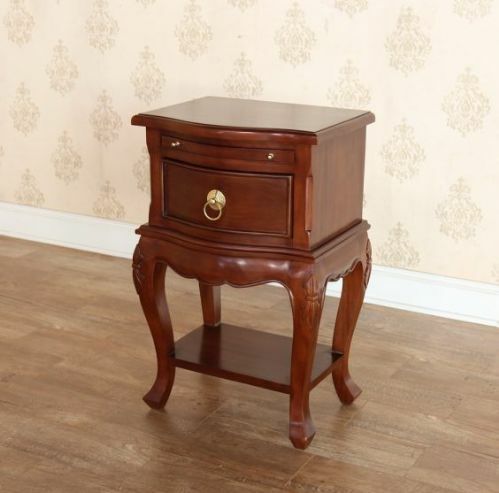 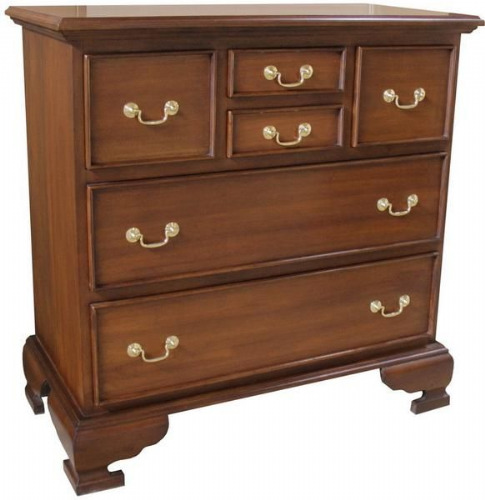 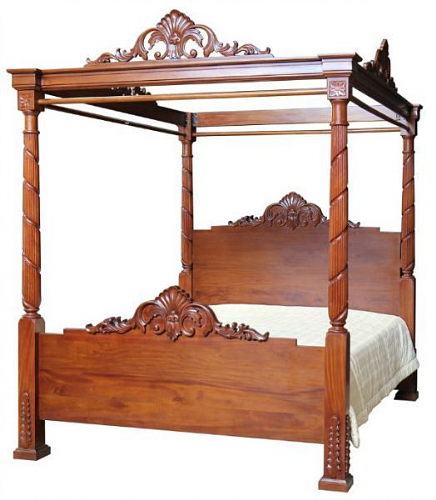 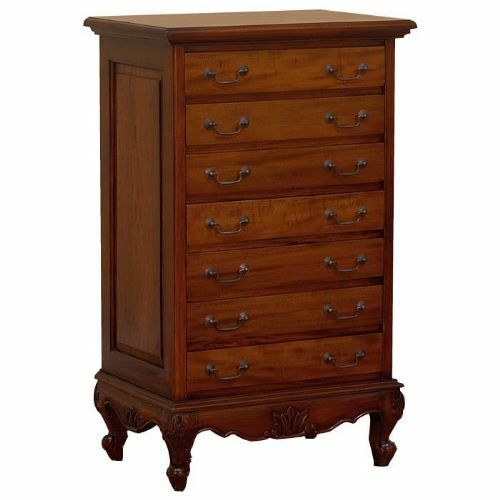 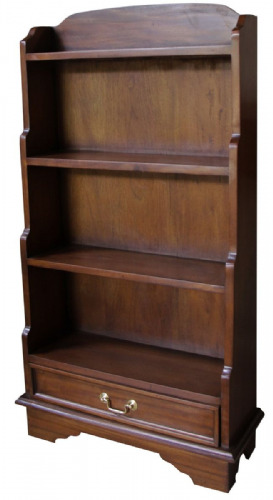 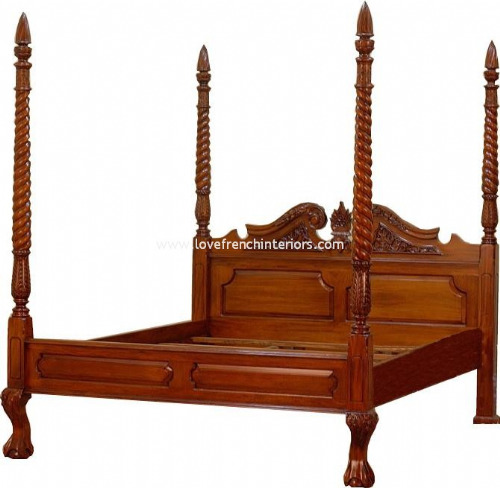 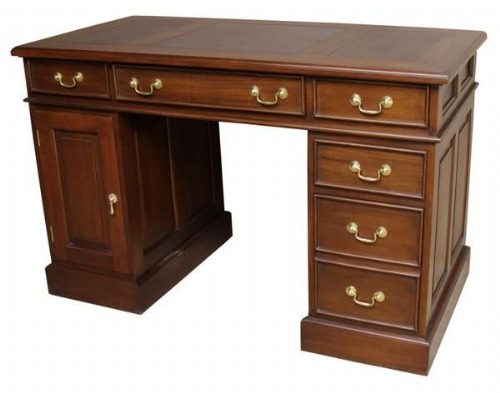 Our hand polished mahogany furniture range for your bedroom, dining room, living room and study is a lovingly crafted collection of hand polished mahogany pieces which include beds, chests, headboards, bed sides, wardrobes, dressing tables, writing desks and more. 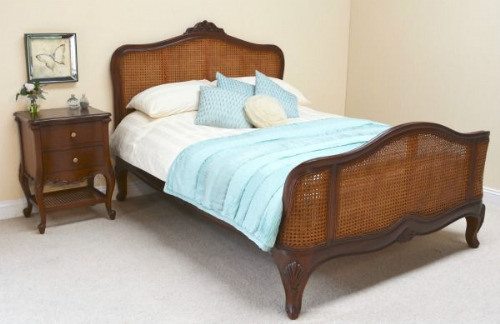 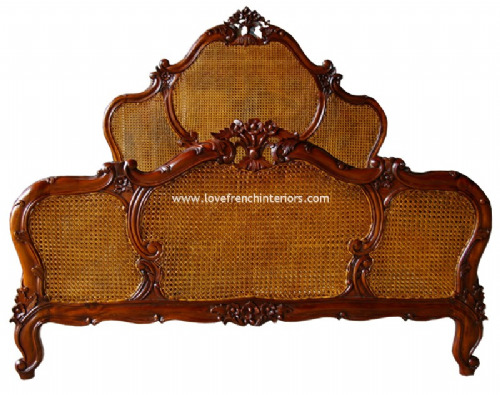 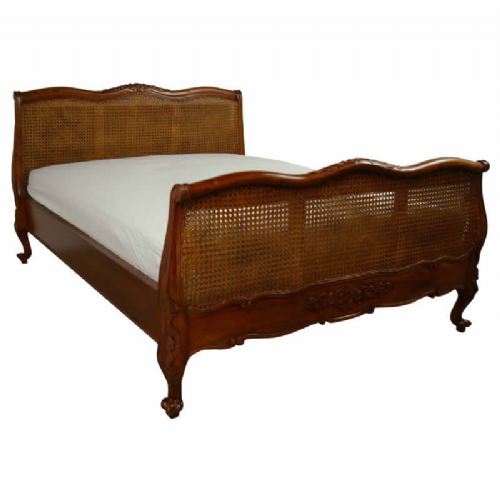 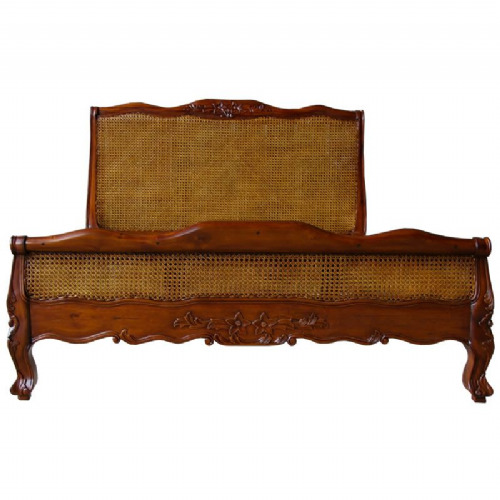 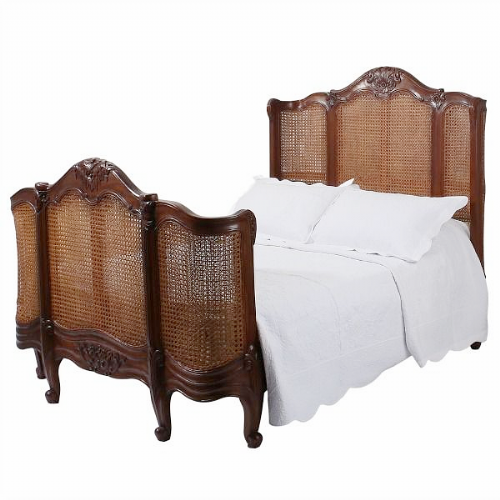 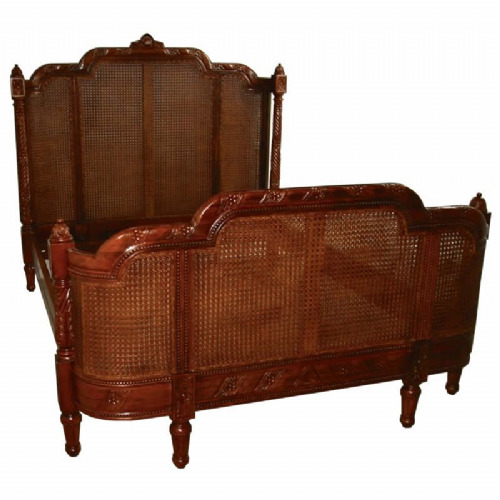 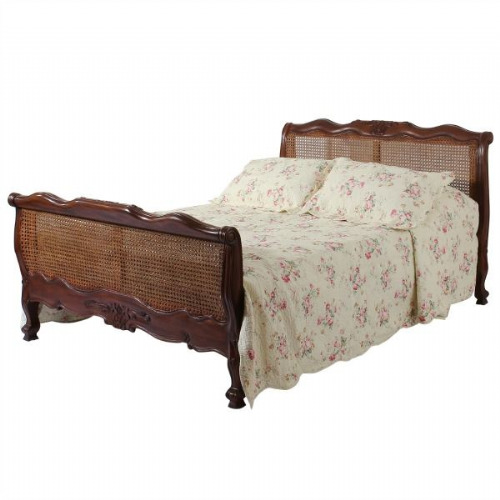 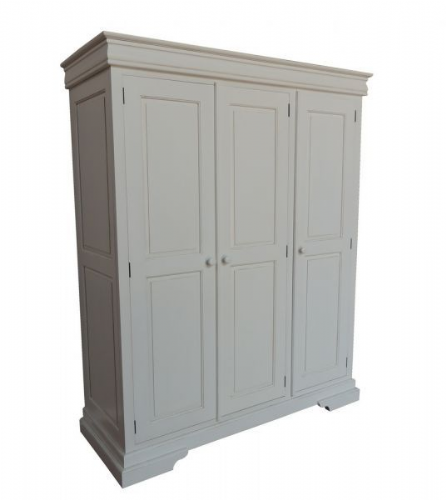 Perfect for the home or hotel all pieces are available in a variety of sizes and styles (including Sleigh furniture, Rococo, Country Rattan and more) to fit harmoniously with individual tastes and room sizes. 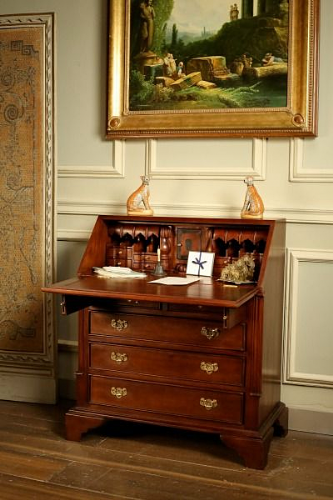 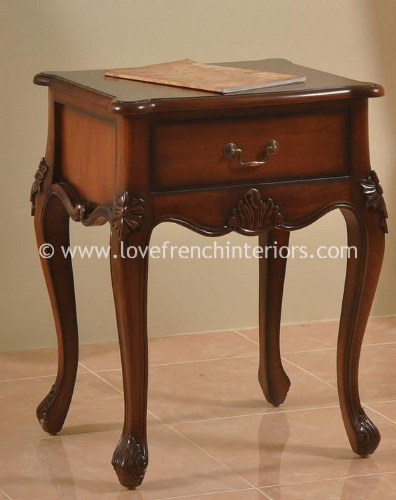 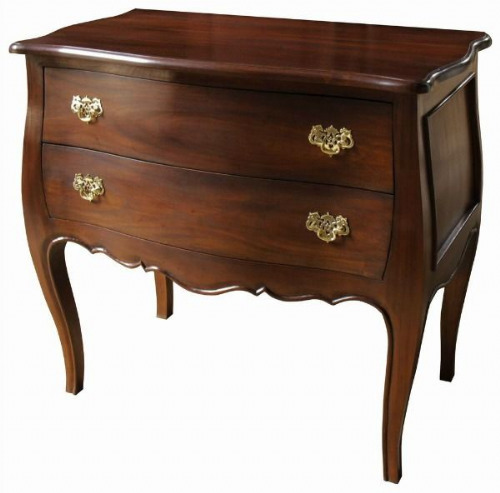 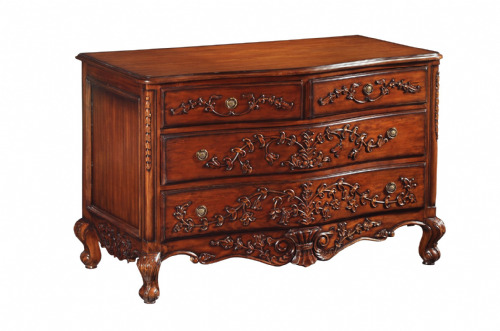 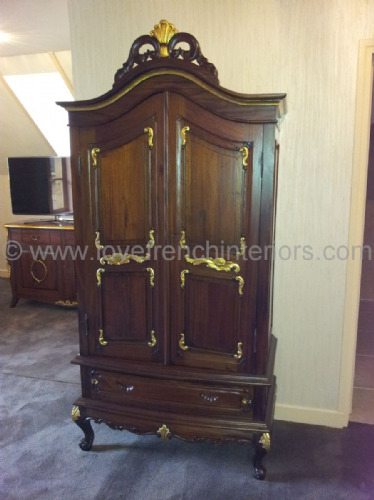 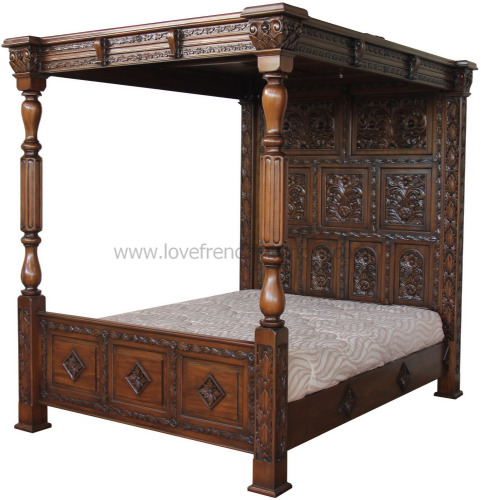 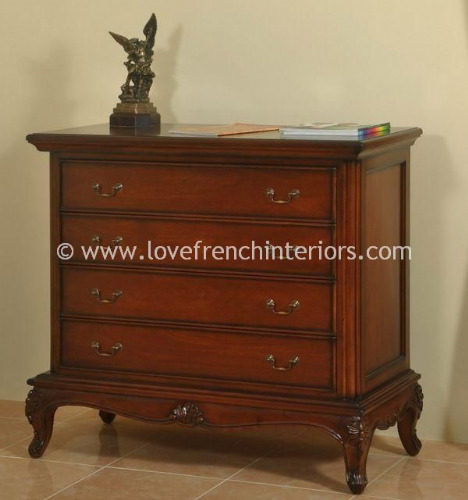 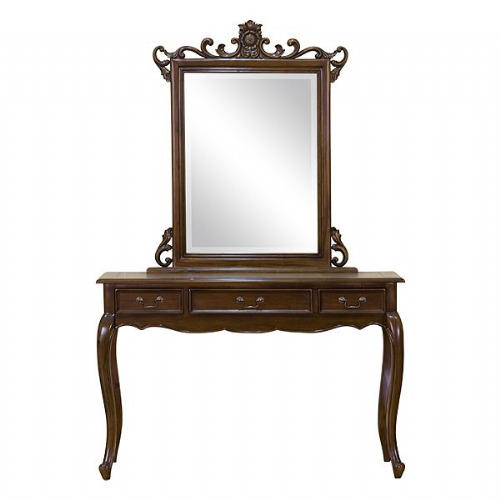 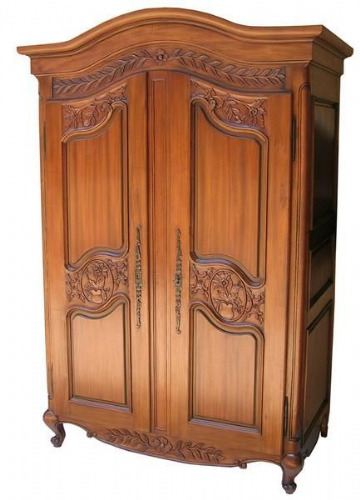 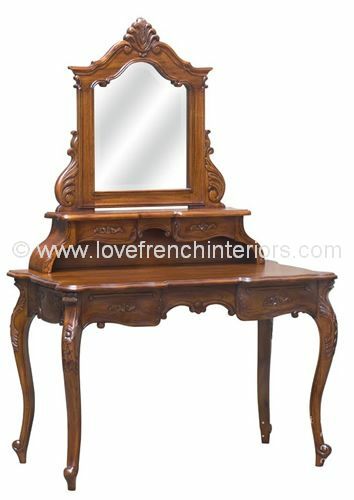 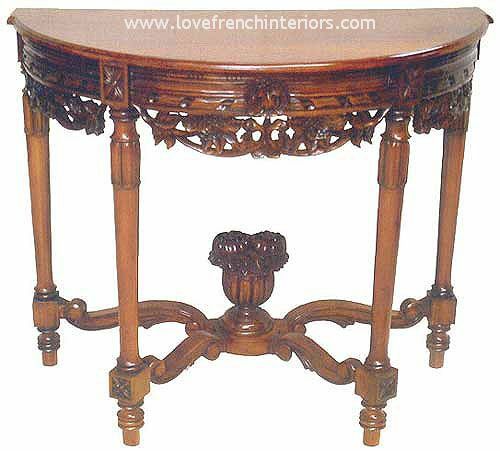 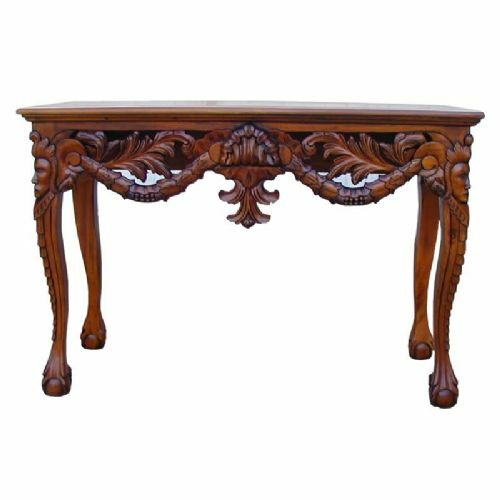 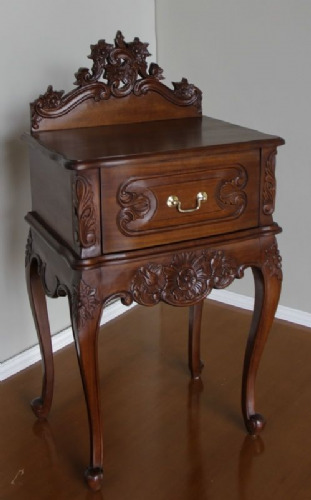 Beautiful french reproduction mahogany furniture - crafted by hand and polished by hand - to be enjoyed for many years to come. 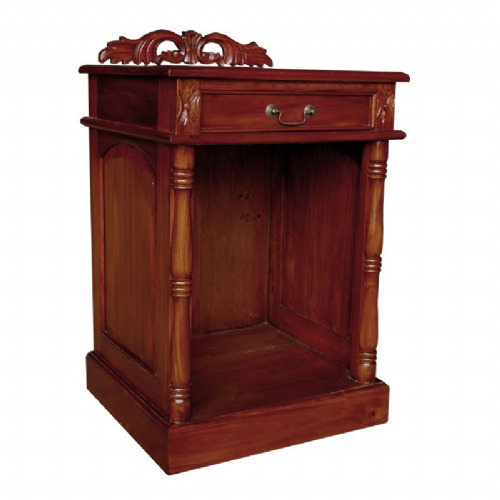 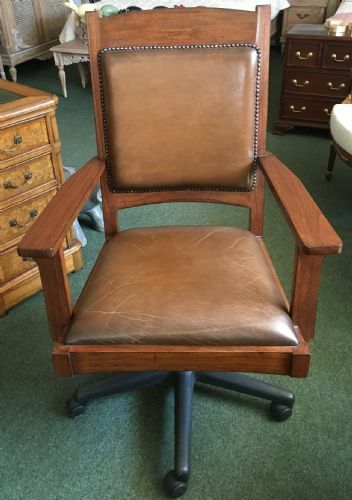 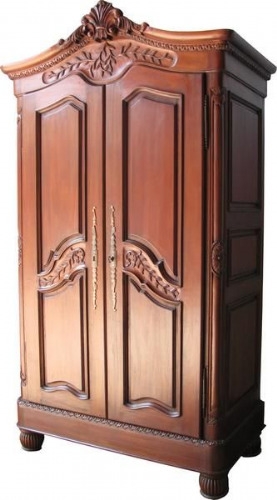 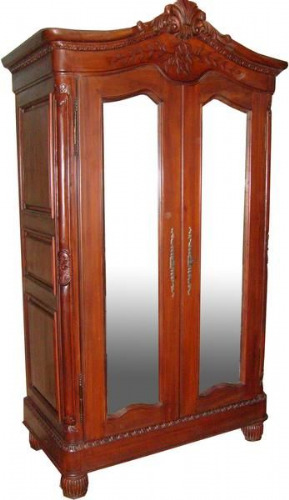 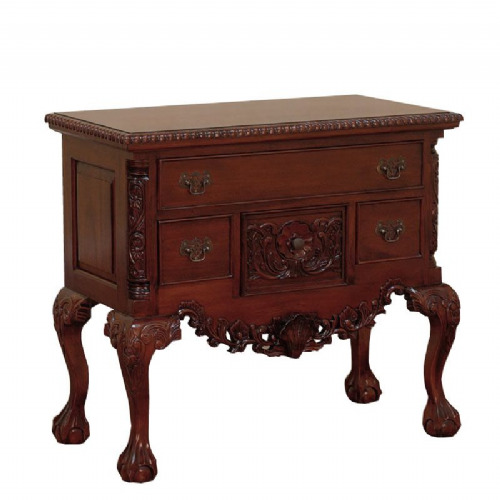 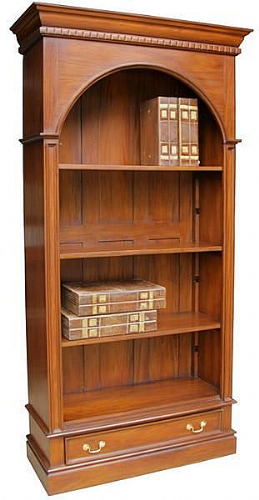 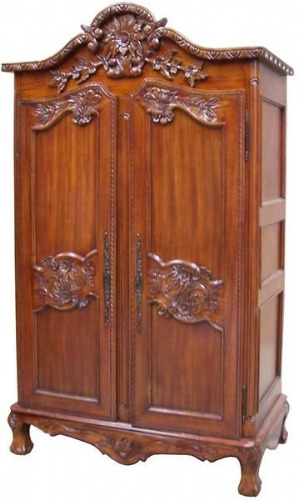 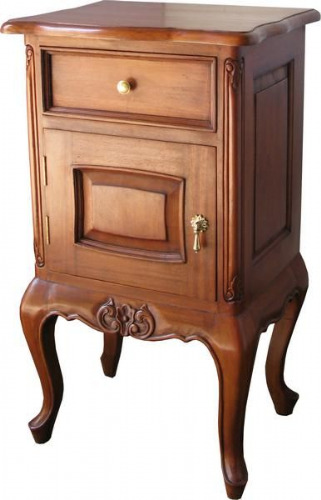 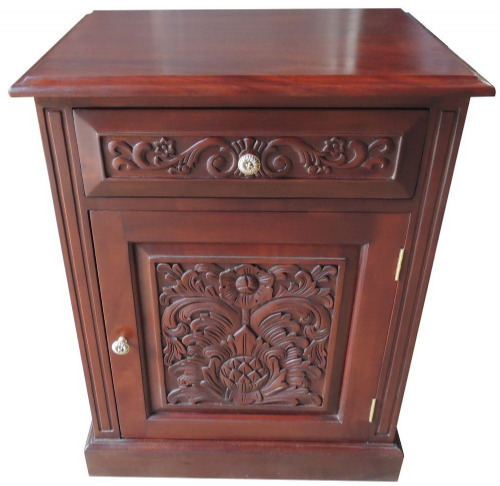 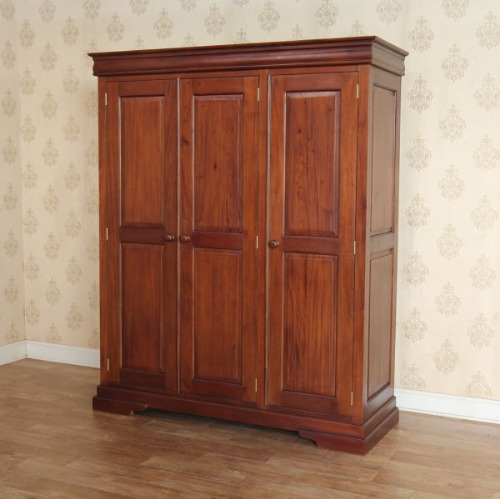 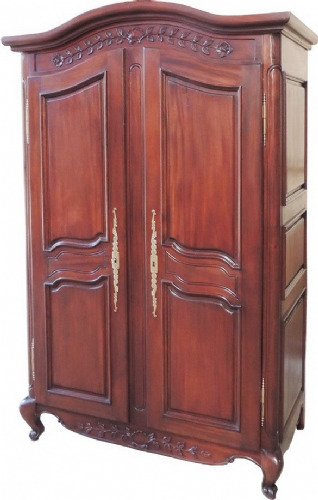 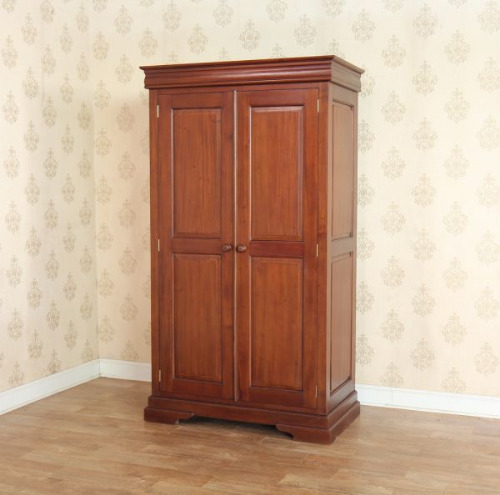 Please note that the exact colour of this furniture collection is 'mid mahogany' also known as medium/dark honey mahogany - it is the shade most commonly found on mahogany antiques. 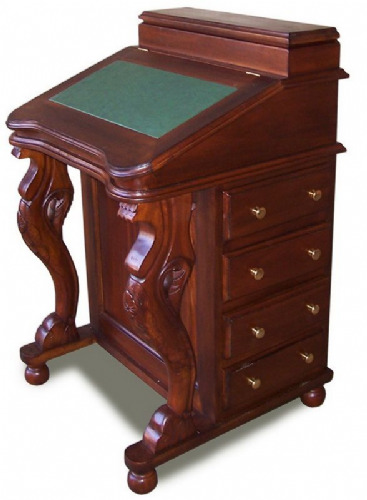 Different monitors will show our products in different shades and not all photographs were taken on the same day in the same light source - please see our FAQ section for further information. 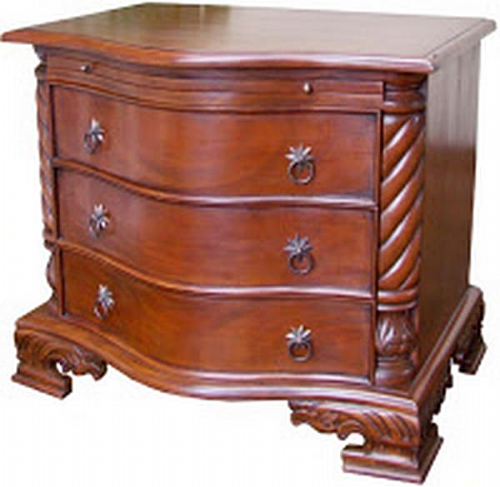 All pieces are hand finished to the same mid mahogany shade so that they will match each other. 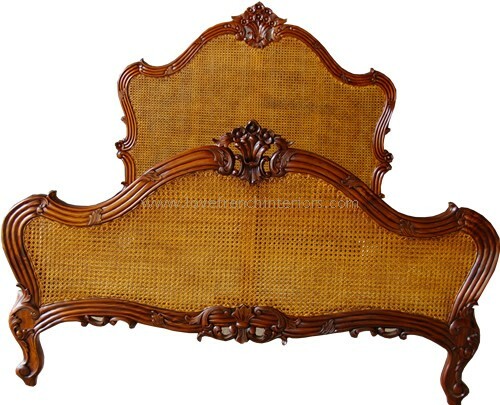 Other shades are available to order.